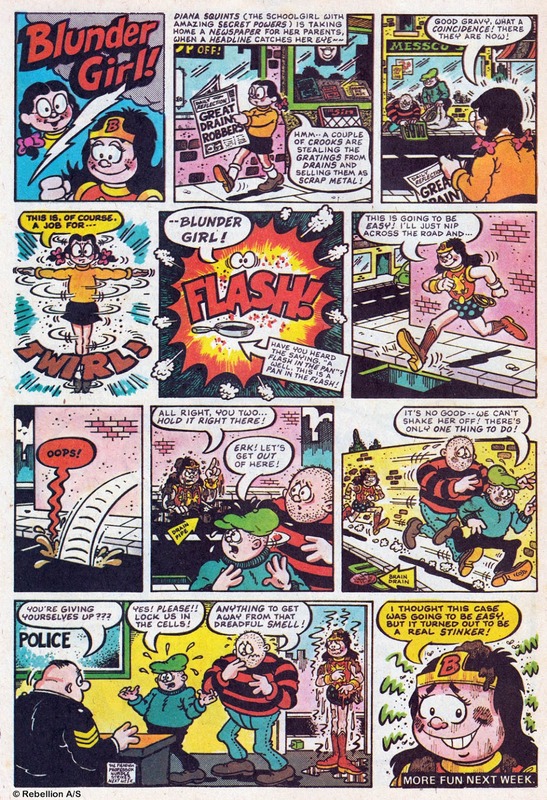 Jack Oliver (or J. Edward Oliver as he signed his strips) was an excellent comic artist. 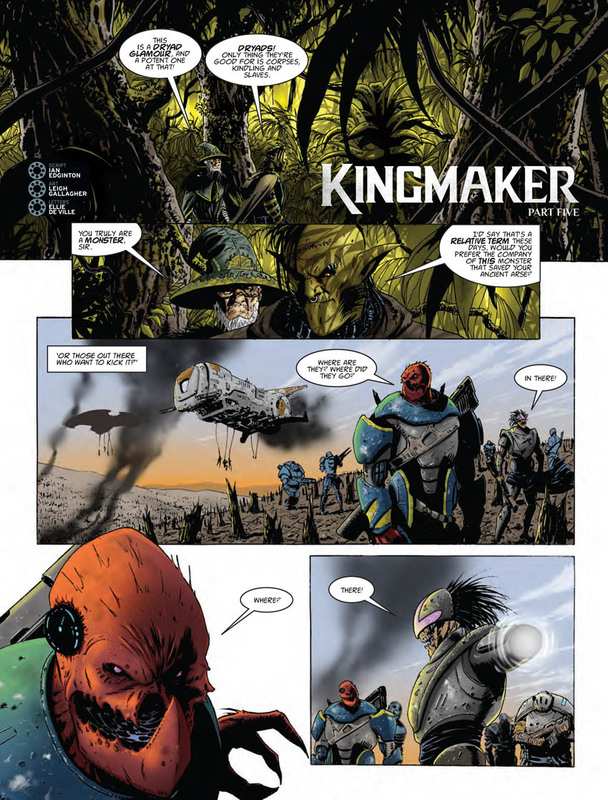 He created his own characters, and not only wrote his own very inventive scripts but lettered his pages too. 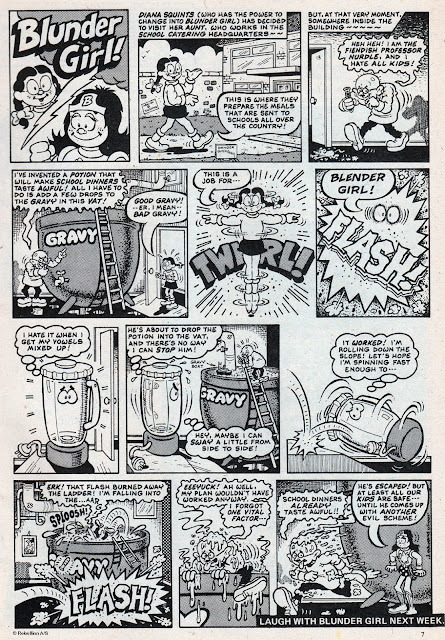 You may be familiar with his Master Mind and Cliff Hanger characters for Buster, but here's one that appeared in the IPC girls' comic Penny. At the basic level, Blunder Girl was a parody of Wonder Woman, but Jack Oliver gave us more than that, creating a funny, well crafted strip in its own right. Here are the few examples I have, from Penny Nos.6, 11, and 14 from 1979. Continuing their series of hardback reprints of collected pre-Comics Code American comics, British publisher PS Publishing are soon to release more new volumes. Pre-Code Classics World of Fear Volume 1. 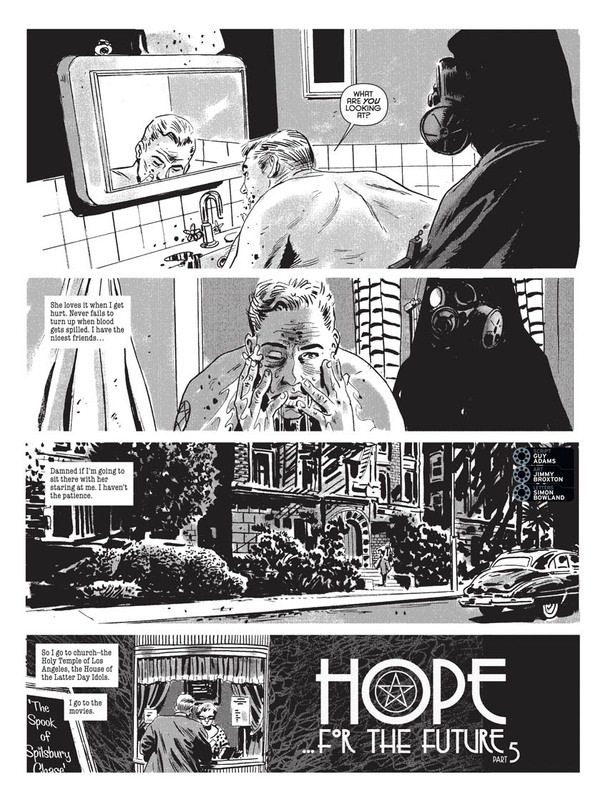 Just when you thought it was safe to go back into your comic shop, here come those PS guys again with another crazy collection of bygone stories and panels set to blow your mind. This time out they’re hitting you with the full run of WORLDS OF FEAR from the magical days of 1952 and featuring artists and writers such as Sheldon Moldoff, Bernard Baily, Bob Powell, George Evans, Mike Sekowsky, Moe Marcus, Bob McCarty, Harry Harrison and Norman Saunders. Crossing horror and SF has never been more enjoyable. Lock the door, flip the tab on a can of soda and delve into those potato chips. It’s a marriage made in Heaven. Each volume contains between 5 - 6 issues digitally enhanced and faithfully reproduced. 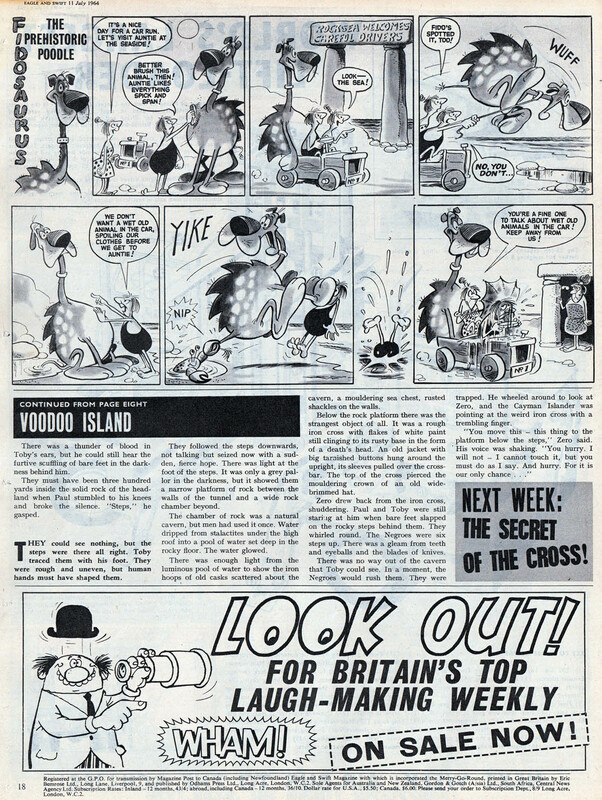 Volume One features issues 1-5 from November 1951 – June 1953. Pre-Code Classics Lars of Mars/Crusader from Mars/Eerie Adventures Volume 1.This one is hard to overplay, comicbook fans in that material like the stuff contained in the handful of issues that made up the full output of Ziff Davis’s LARS OF MARS is tough to beat. No, strike that: it’s impossible to beat! 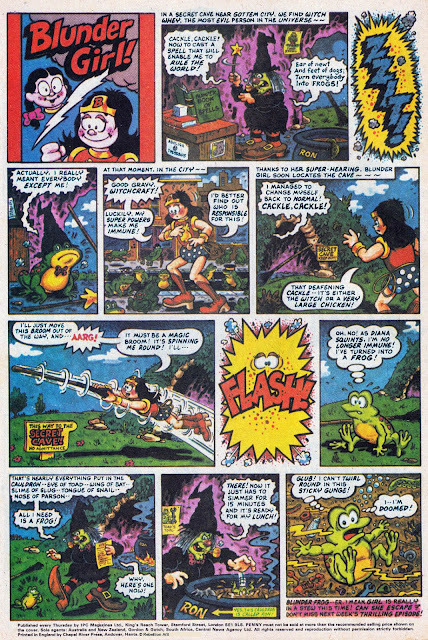 Heck, written by Jerry Siegel and drawn by Murphy Anderson and the true forerunner of the Red Planet’s J’onn J’onzz, this is the real McCoy. 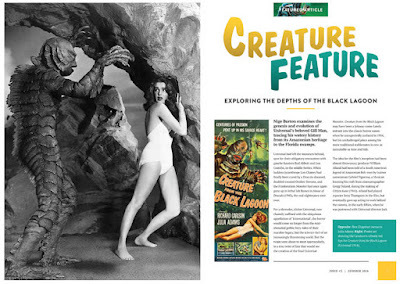 Artists include Allen Anderson, Murphy Anderson, Gene Colan, Marvin Stein, Henry Sharp, George Roussos, Mike Becker, Bob Powell and Al Carreno. 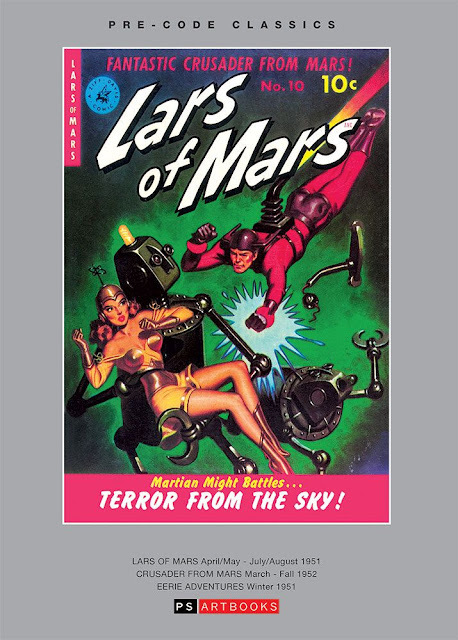 Volume 1 features the Ziff Davies issues of Lars of Mars #10 April/May 1951 & #11 July/August 1951, Crusader from Mars #1 March 1952 & #2 Fall 1952, Eerie Adventures #1 Winter 1951. 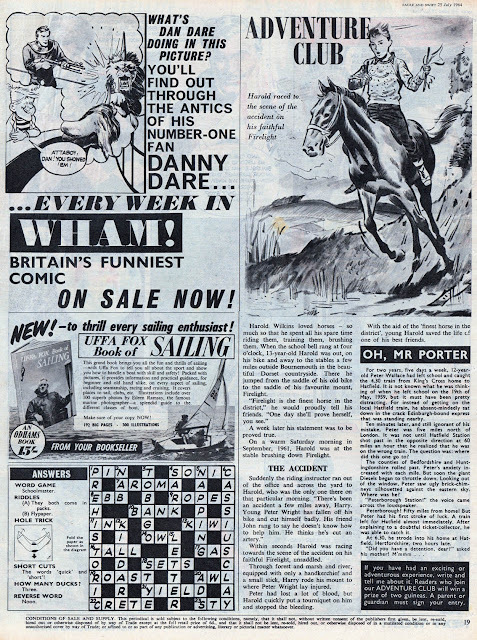 Time was when the Daily Mirror had so many new strips they couldn't all fit onto one page, and that was back in the 1940s when the paper only had 8 pages a day. 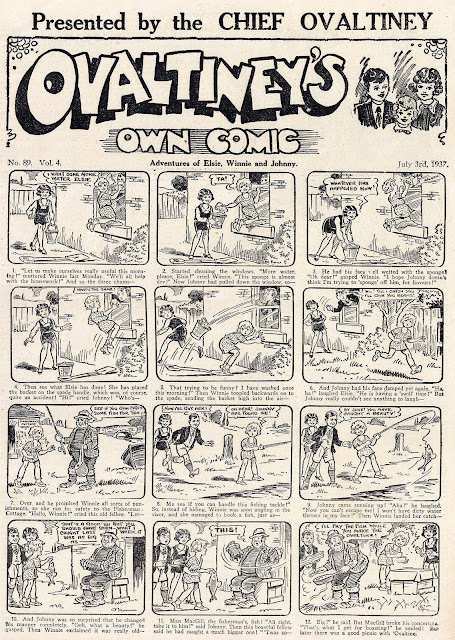 Comic strips were considered high priority then, to boost the spirits and provide escapism during World War 2. 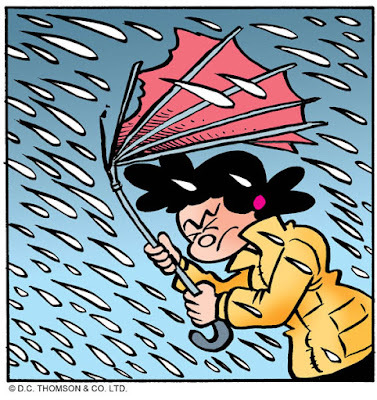 These days, the public (and publishers) have a lower opinion of comic strips, with them fighting for space on the Mirror's horoscope page and with six of the strips being reprint. 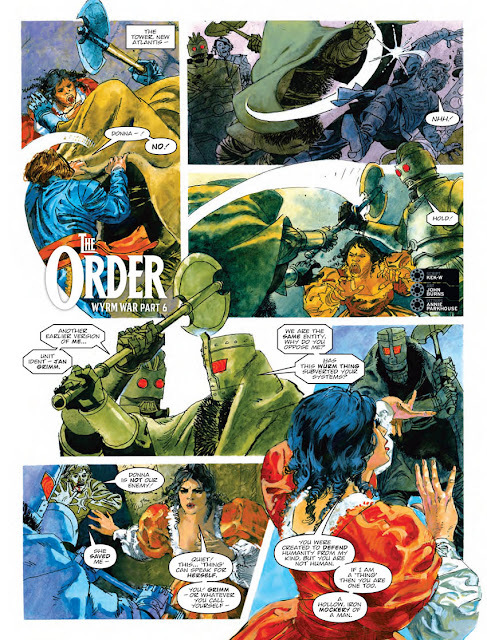 Garth has been a reprint for several years now, and this week the Daily Mirror began reprinting the Scourge of God serial from 1989. The script is by Jim Edgar, the art by Martin Asbury, with new colours by Martin Baines. 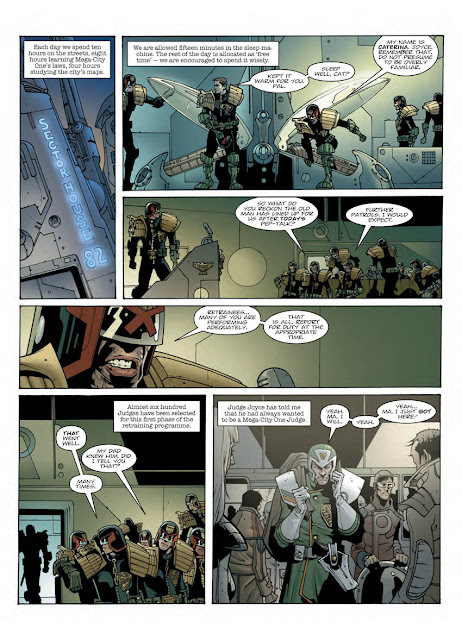 Following the decimation of Mega-City One during Chaos Day, Judges from other "friendly" Justice Departments have been brought in to strengthen the ranks and help maintain law and order on the streets. Among the newcomers is Fintan Joyce, son of a former Emerald Isle Judge, who teamed up with Judge Dredd in one of the most fondly remembered Judge Dredd stories. Exploiting Big Meg's weakened state, several groups have risen up against the Judges. 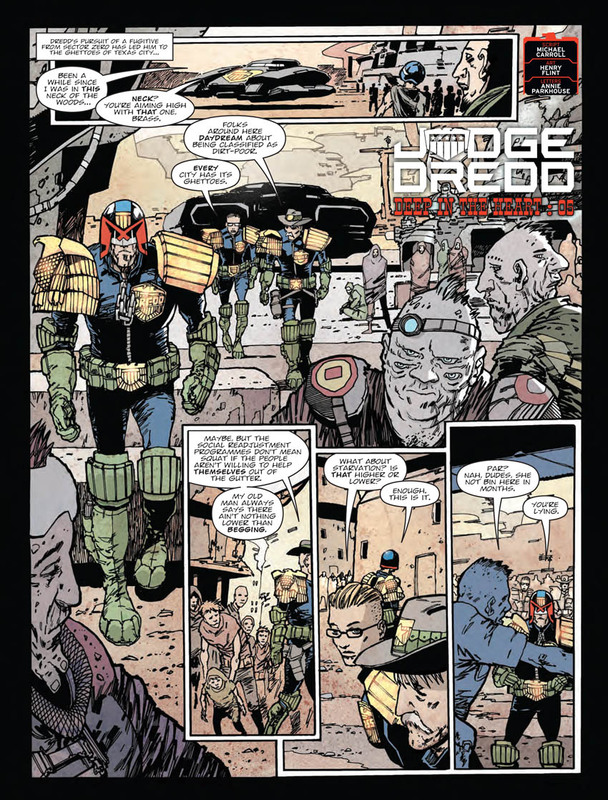 If things couldn't get any worse, Dredd has fallen foul of Brit-Cit and they want him in prison or on a slab. 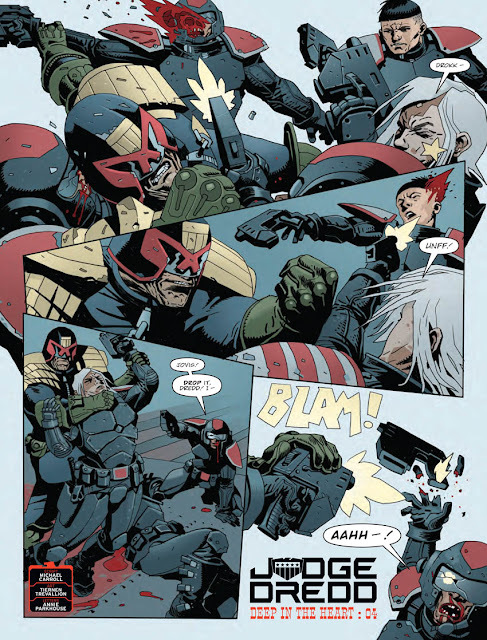 Have the odds finally stacked up enough to spell the end of Mega-City One's greatest lawman? 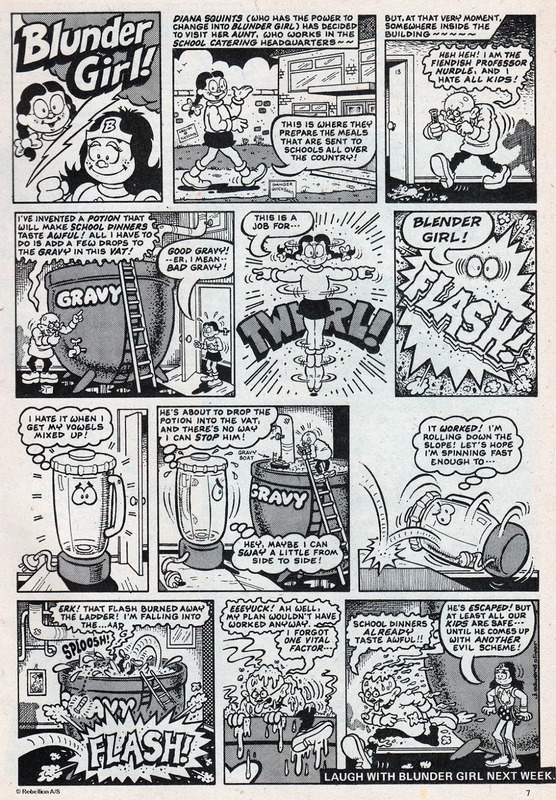 I haven't had chance to go into town to buy this week's Beano yet but here's a preview of the stuff I have in there. I really enjoyed drawing a full page illustration for the puzzle feature Find Teacher's Lunch, and I'm pleased that it's also been used on the Beano website this week as well as in print. 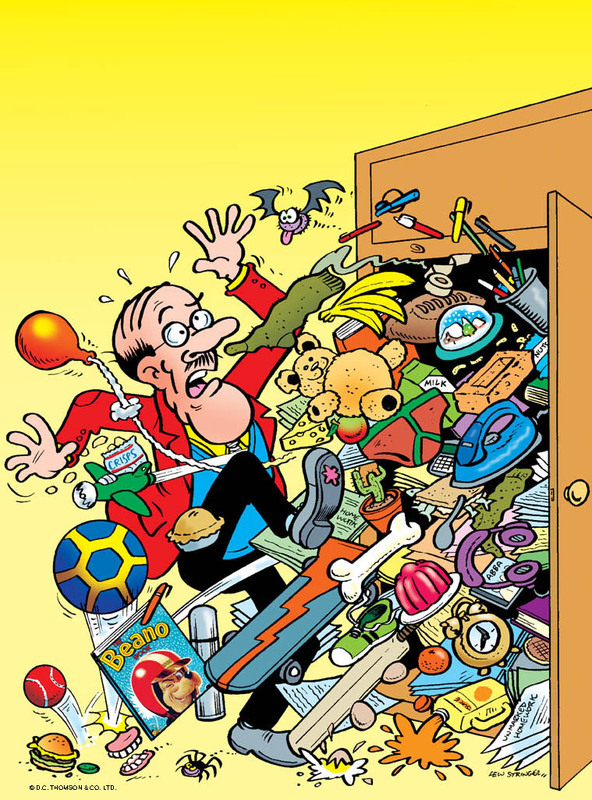 Beano No.3869, out now for just £2.50. 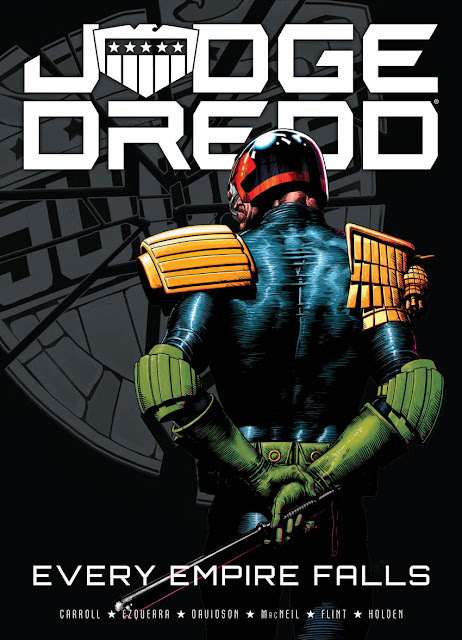 The news a few months ago that 2000AD's publisher Rebellion had bought the post-1970 IPC comics back catalogue sent a wave of excitement through British comics fandom. While it's very unlikely the acquisition will mean that the actual old comics will return as ongoing periodicals, we do know that graphic novels (or collected albums) of selected stories will be appearing. 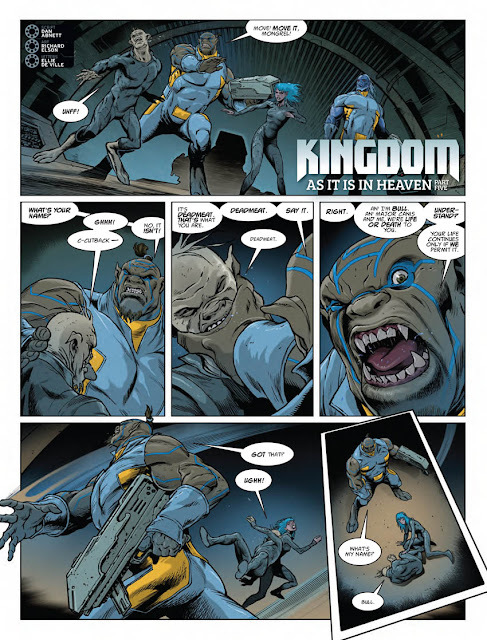 One Eyed Jack from Valiant being one compilation that we'll see this year. Others will follow. 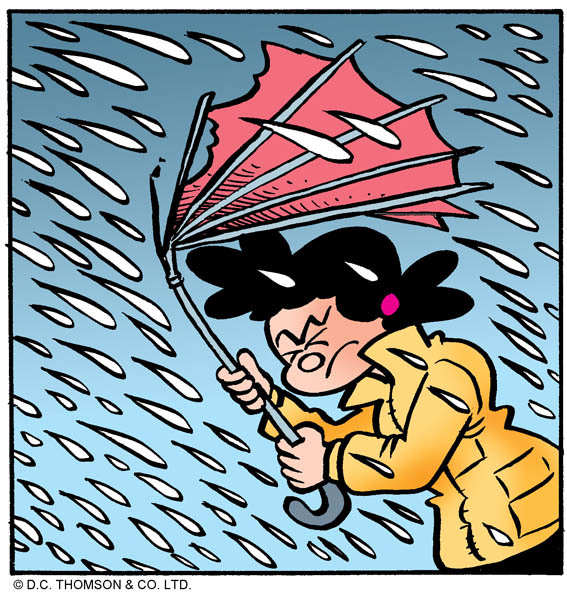 Which classic strips would you like to see collected in book format? Remember, it's only IPC material after 1970 we're talking about, so characters created before then, such as The Steel Claw or Odhams' Legend Testers or The Nervs or even Weary Willie and Tired Tim are not part of the deal. That still leaves many, many characters who might be collected. Characters from Action, Misty, Battle Picture Weekly, Whizzer and Chips, Cheeky, Cor! !, Thunder, Jet, Speed, Jinty, Tammy, Monster Fun, Scream!, Whoopee!, Jackpot, Tornado, and post-1970 Buster and others. In the fourteenth century, the English bowmen were the scourge of French knights. The machine gunners of their days, the bowmen used six foot bows to fire long arrows with three inch wide arrowheads to pierce the hearts of their enemies. One such arrowhead was found six centuries later in a field in France by Private Len Mason. This chance encounter saved Len from being gunned down by the enemy. Surrounded by the bodies of his squadron, Len wondered why he had survived the brutal attack. Was the arrowhead a good luck charm or was it simply a coincidence? Following a devastating crash, claustrophobic R.A.F. test pilot, Mark Ritchie, didn’t expect to be chosen for an immediate mission to accompany a Commando squad into the heart of Nazi-occupied Norway to steal a never-before-flown aircraft prototype. 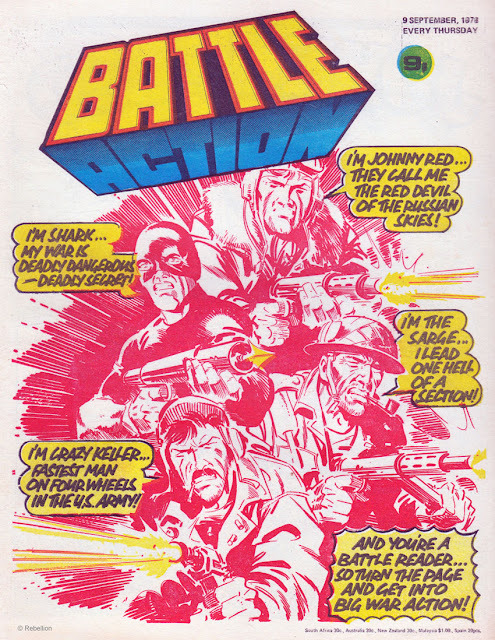 Wilkinson’s fast-paced story brilliantly captures Mark’s battle to prove his worth, creating dramatic tension between the pilot and the Commandos. The story is perfectly complemented by Buyella’s mastery of ink, as his visuals lead us from the cockpit of an unarmed plane, across vast seas, and deep into enemy territory. 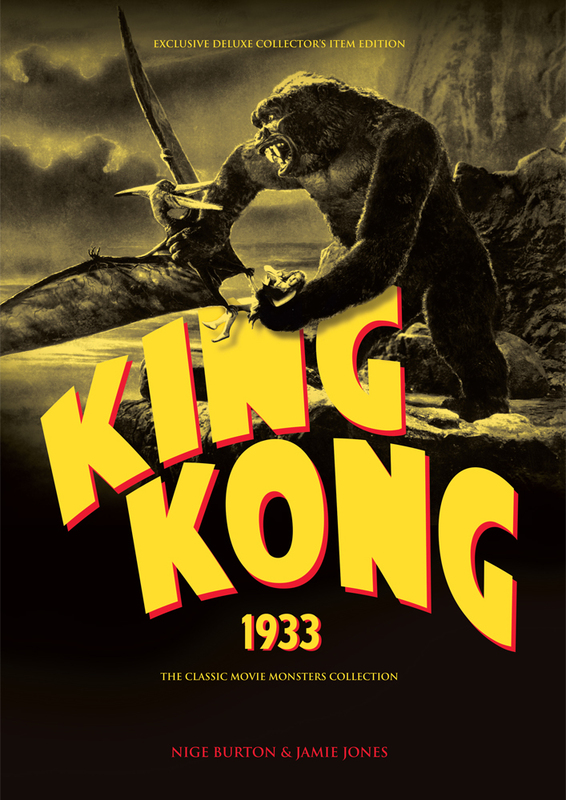 This is one action-packed adventure that’s not to be missed! The Tirpitz was one of the most feared battleships of the Second World War. A forty-two-thousand-ton titan of the seas, the R.A.F.’s brave and desperate attempts to destroy it became notorious. Lesser known was the story of Erik and Olav, scientists turned S.O.E. 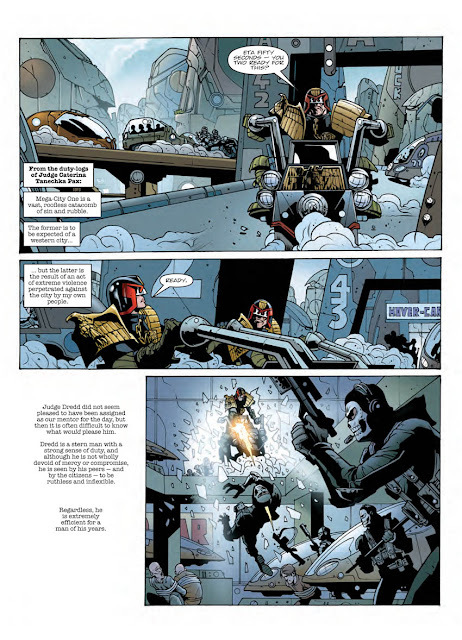 agents, and their role in the battleship’s fate. 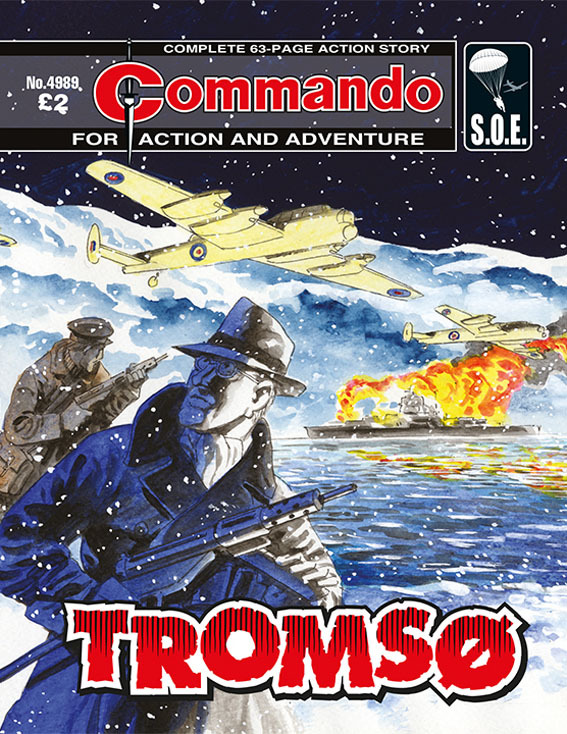 Their lives inextricably linked with brutal Nazi Major Herman Klinger, see how they came to take their revenge in the barren town of… Tromsø! Nick Borley cursed the day he had been switched from commanding a fast motor launch to take over an antiquated schooner. And never more so than now as they ran before a storm, the sails and rigging in tatters after the Luftwaffe had paid a call. Up ahead lay the hostile enemy-held coast and at Nick’s elbow was the grinning, bearded pirate who had started all this trouble. And he wasn’t finished yet! 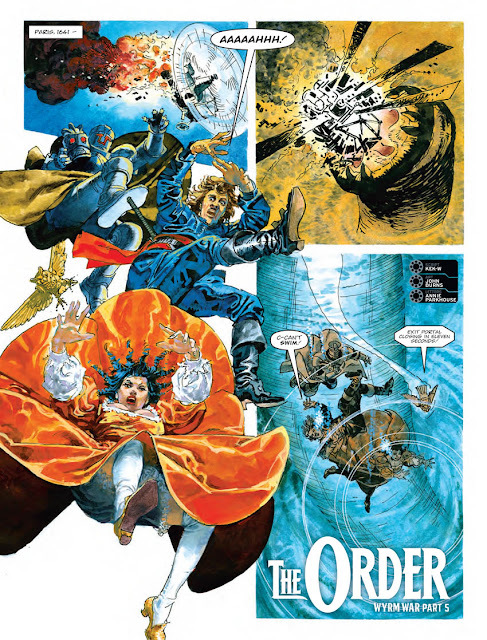 If you’re looking for a swashbuckling tale of heroism and maritime madness, venture no further than Pirate Patrol! Veteran writer, Alan Hemus is at the top of his game in this seafaring thriller. Hemus creates a great anti-hero in the form of Barney Lee, a loveable rogue with interesting views on the Second World War erupting around him. 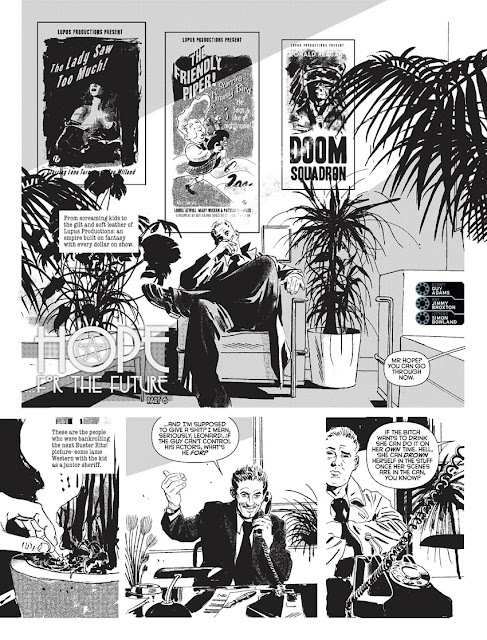 His counterpart, Lieutenant Nick Borley, is the perfect straight-laced man to counter balance Barney’s disorder, and both are expertly depicted in Keith Shone’s excellent interior art. I was recently contacted by journalist David Barnett regarding an interview for The Independent. 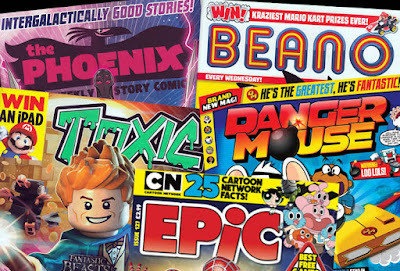 It's online today and is a general piece about the current state of British comics for children. Fellow artist Jamie Smart is also interviewed. 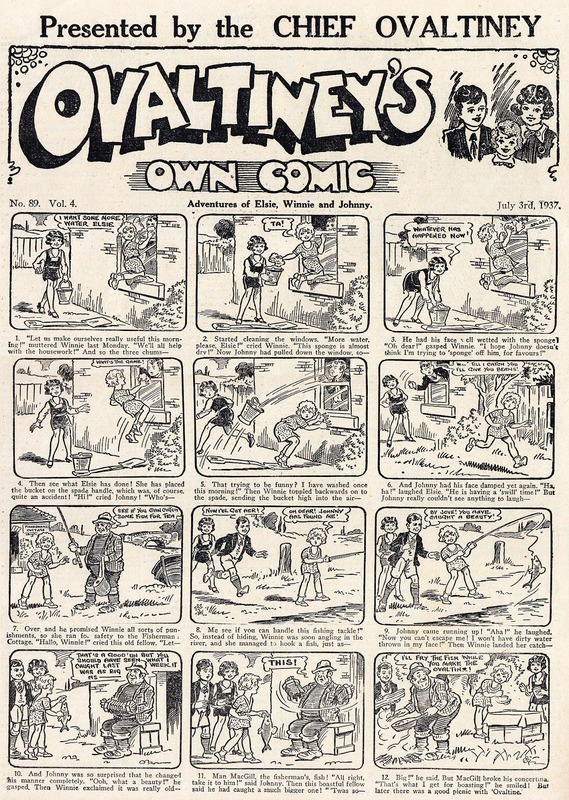 The easy option would have been to bemoan that comics aren't what they used to be but that would be a great disservice to the great work that's around today and would be a mistake to view the situation from inside a nostalgia bubble. We tried to keep things as upbeat as possible and I hope it's a mainly positive article. 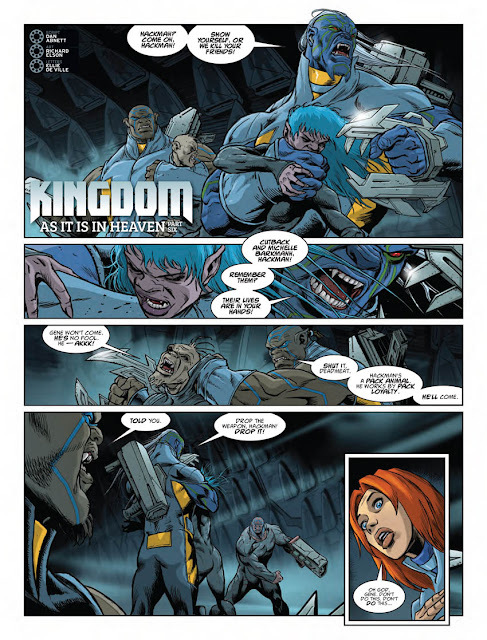 The focus is heavily on The Phoenix comic but I managed to plug other titles too. The item is solely about children's comics in newsagents, so 2000AD doesn't get a look in, nor do the many UK indie titles sold in comic shops, mail order, or at conventions. 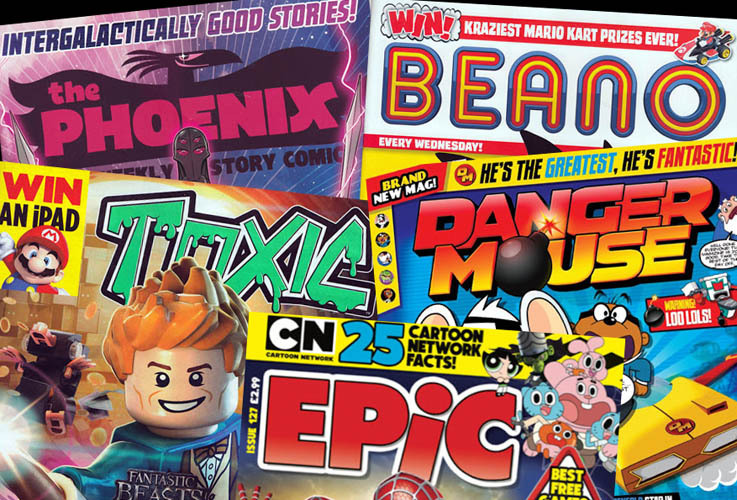 I had mentioned that graphic novels for kids were increasing but that bit was cut out unfortunately (as was a plug for Aces Weekly). Post your thoughts, pro or con, in the comments section below. 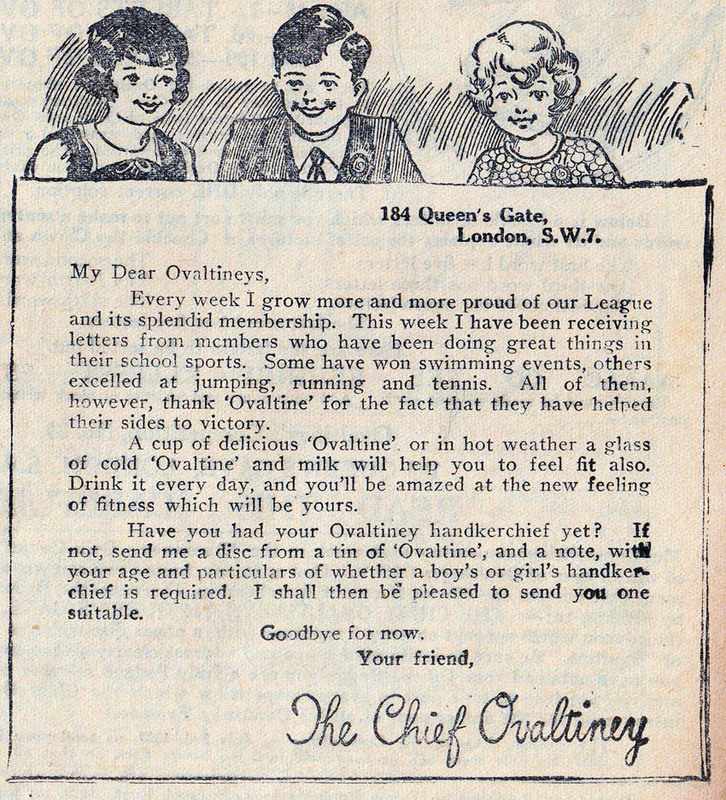 You've probably heard of The Ovaltineys, the children's club of the 1930s formed to promote the hot drink. It even had its own radio show and theme song. (Ask anyone over who was around back then and they'll probably sing it for you.) 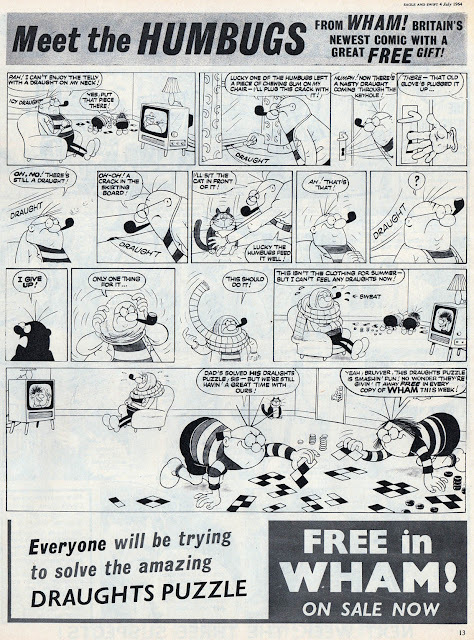 As an early example of a merchandise tie-in, it had a comic too. 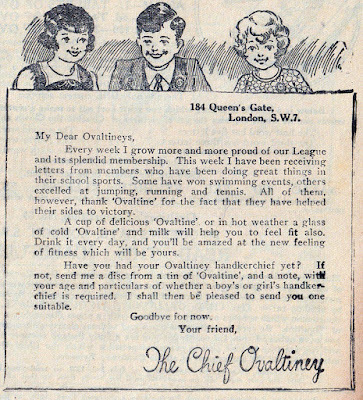 The Ovaltiney's Own Comic, published by Target Publications of London, who also published weekly comics such as Rattler and Rocket. According to Ray Moore when this was discussed on the Comics UK Forum several years ago, "It should also be pointed out that four of the seven titles mentioned were made further value for money, namely Rattler, Dazzler, Chuckler and Rocket, by the inclusion of the free four page supplement 'The Ovaltiney's Own Comic'. A supplement that ran to 128 issues between 1935 and 1938 which is still a record run for a giveaway comic of its kind." 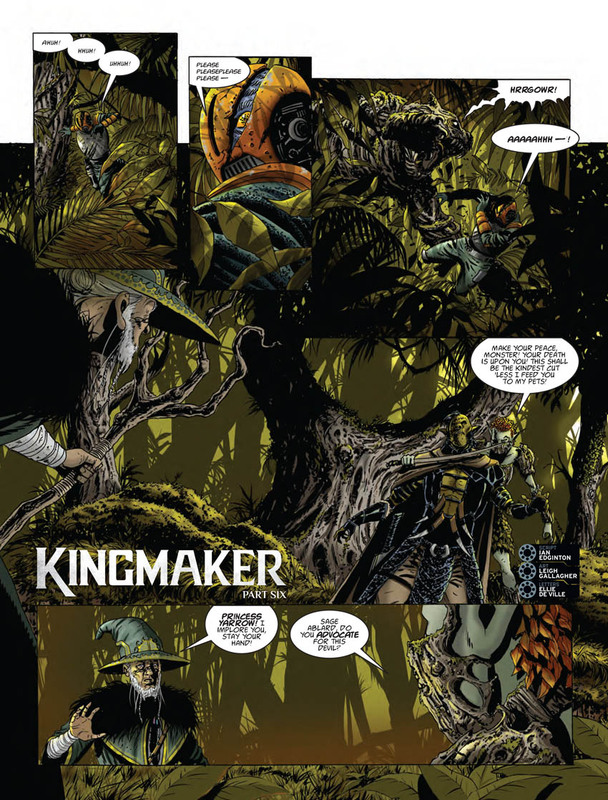 I recently bought an issue of Ovaltiney's Own Comic so I thought I'd show some pages here. 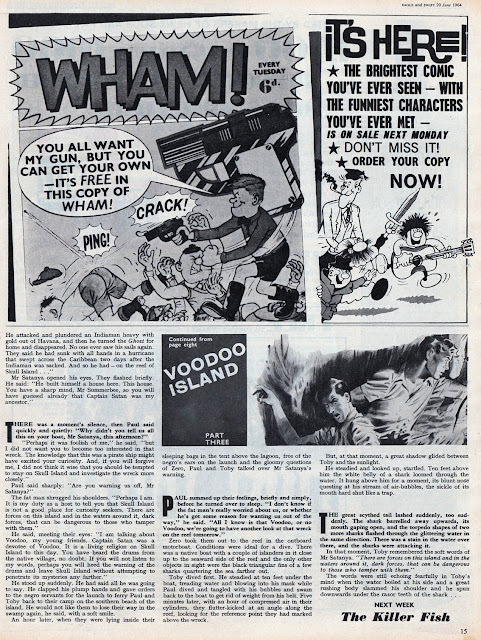 Again, using Ray Moore's words; "On the artistic side the Target comics were pretty exclusively the work of the same five artists, Henry Louis Diamond [who was also the publisher], Harry Banger, Bert Hill, S K Perkins and G Larkman." 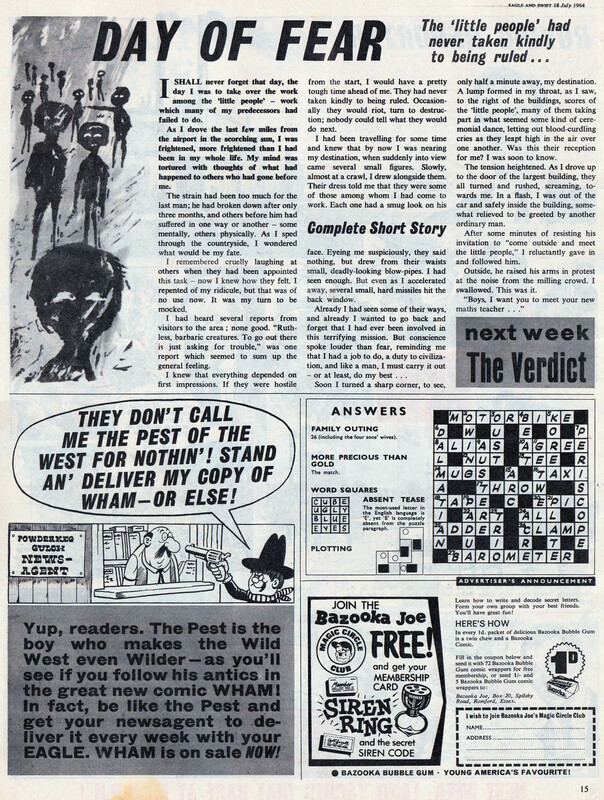 Target Publications were eventually bought out by The Amalgamated Press. I'll show another of their comics here at a later date. Yes, that's right. If you subscribe to Aces Weekly before tomorrow (23rd January), your sub will start with the complete seven issues of the previous volume (vol.25) as a bonus. 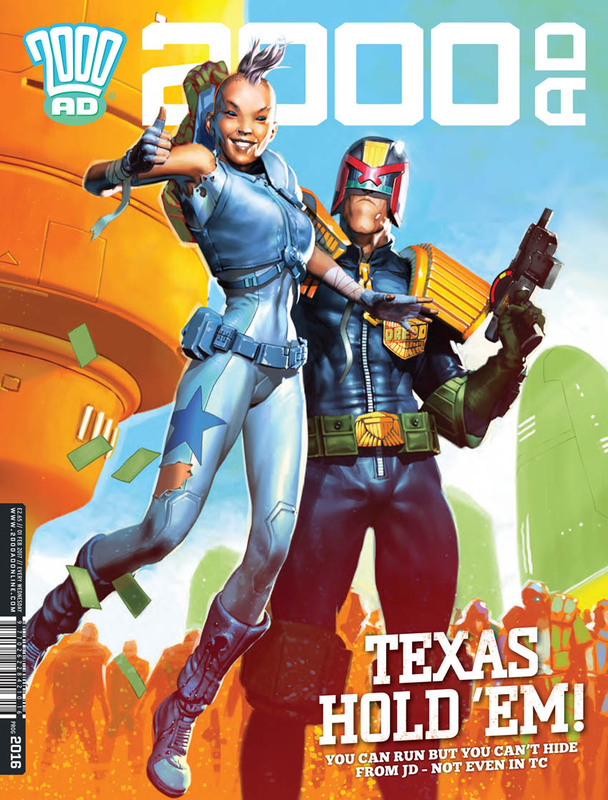 And Volume 26 begins tomorrow too, so you'll have the first weekly issue of that also. Why wait? 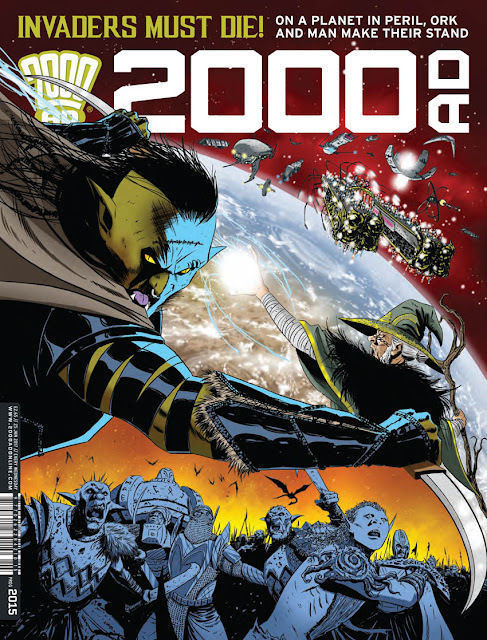 Zoom over to the Aces Weekly website now to sign up and get reading! Just £6.99 for seven issues. Dare you enter... The Castle of Comic Creators! 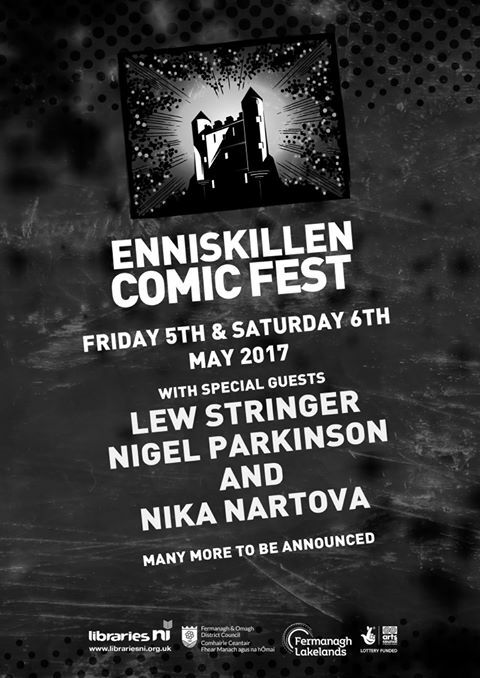 Northern Ireland's Enniskillen Comic Fest has just revealed its new venue for this year's event. 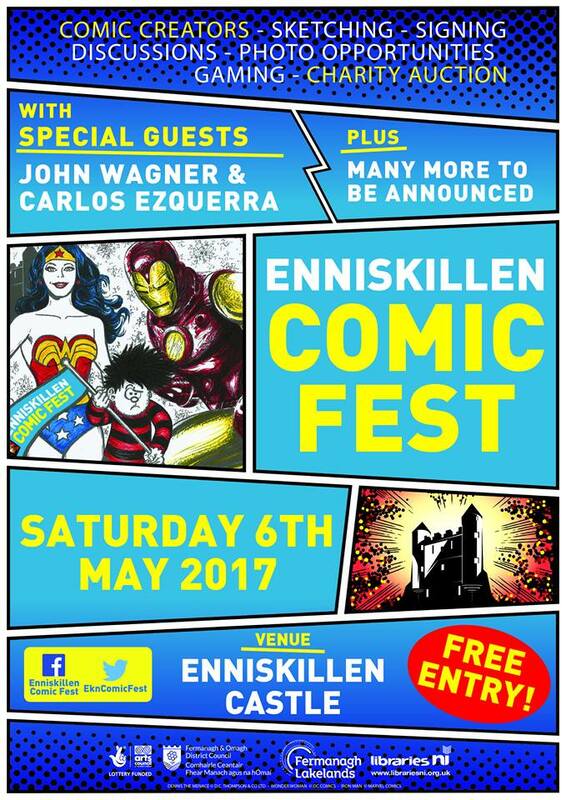 It's to be at Enniskillen Castle. Guests will include John Wagner, Carlos Ezquerra, Steve MacManus, Nigel Parkinson, Nika Nartova, Colin McNeil, Alan Grant, Yanick Paquette, me, and many more to be announced! Having never done a comic con in a castle before I'm looking forward to it! As you may have gathered from the issues I've already reviewed, I really like Rok of the Reds. It combines the best aspects of a traditional British football comic with a sci-fi twist and a modern attitude. 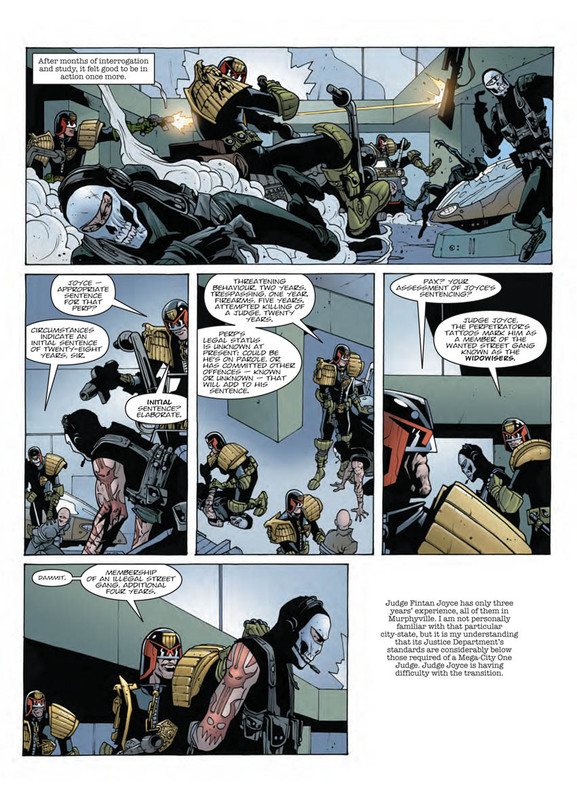 You can't go wrong when you have John Wagner and Alan Grant writing it, and Dan Cornwell brings the right style of artwork to the story. 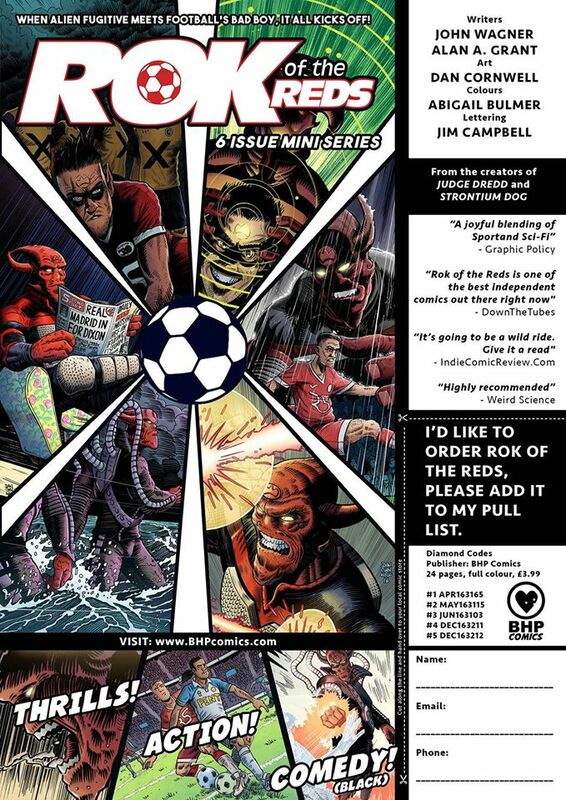 Now, its publisher BHP Comics have provided this handy coupon to Support your Comic Book Store by printing off this Rok of the Reds poster and asking your local store to add it to your pull list, so you can buy it direct. Support Rok of the Reds! 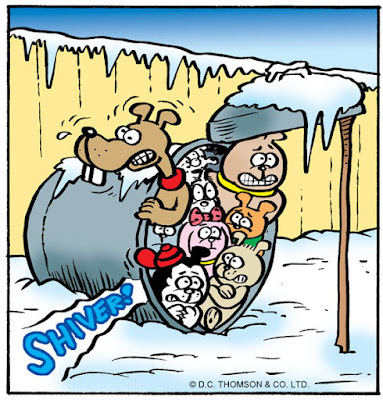 It's a great comic! A few years ago I showed how Today magazine promoted Wham! comic in 1964 (see that post here) and today I'm showing how Eagle did it too. As this was a time before Wham! had spawned its sister titles Smash!, Pow!, Fantastic, and Terrific, it was up to Eagle and Boys' World to advertise the new comic. The first mention of Wham! appeared in Eagle dated 13th June 1964, with a quarter page ad (above) showing kids excitedly rushing to a newsagent. (Artist unknown.) I'm including the full pages that these adverts appeared on to give them some context. 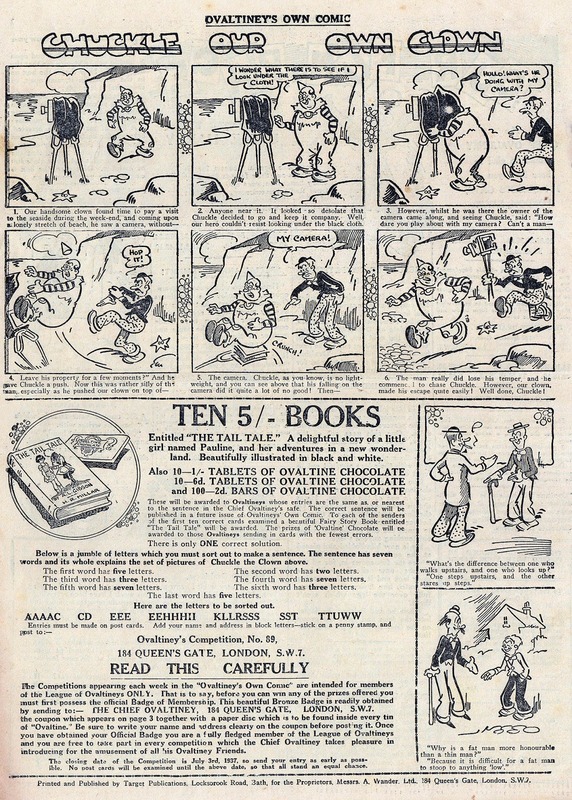 The week after, a glorious full page illustration by Leo Baxendale, promoting issue 2. 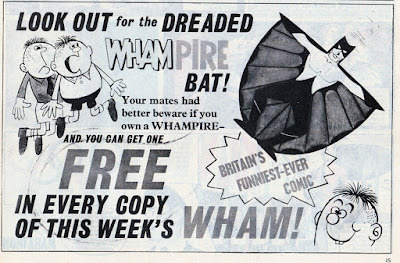 Wham! 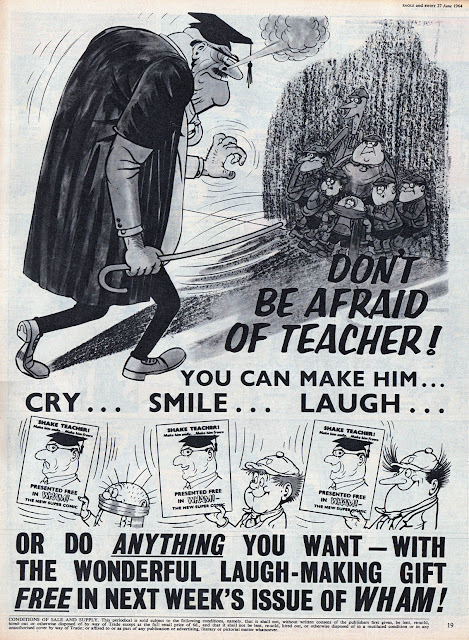 was a relatively anarchic comic so it's great that such a pro-establishment comic as Eagle was featuring such a grotesque caricature and telling kids not to be afraid of teachers. 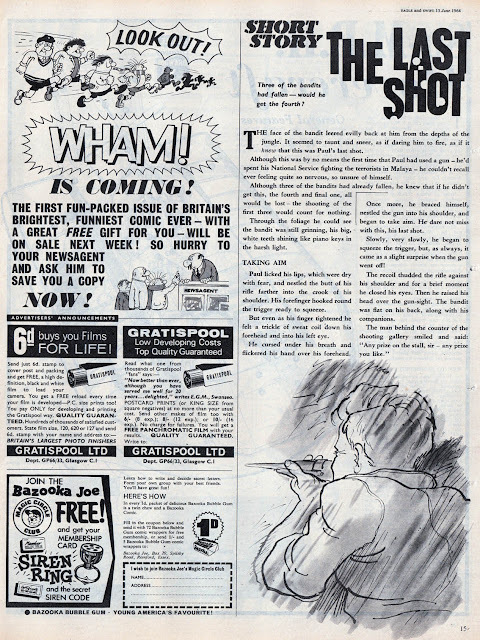 (I think this page also appeared in Wham! No.1). As you can see, Wham! 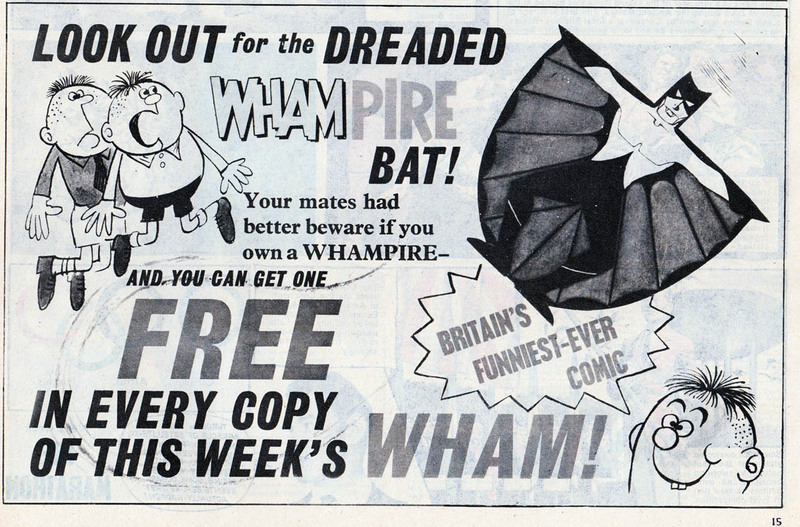 was promoted as "the funniest comic ever", and for many of us back then it most definitely was! Classic Monsters of the Movies! 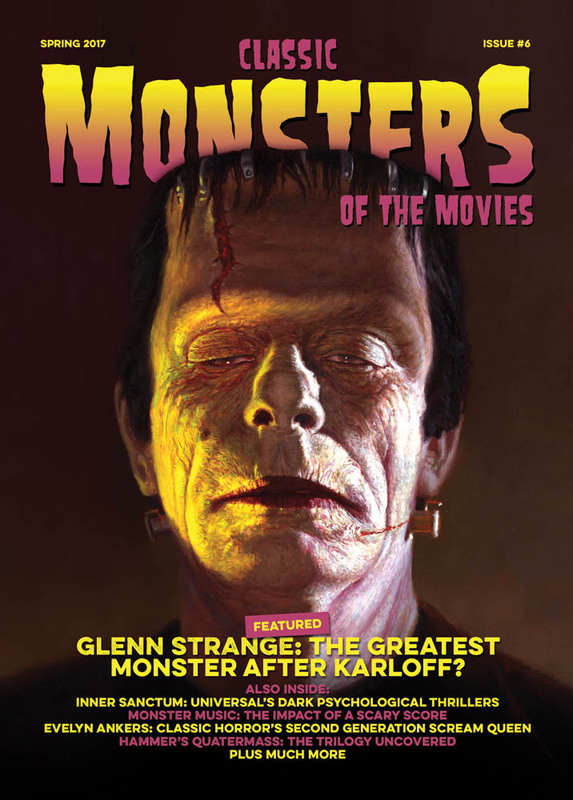 Classic Monsters of the Movies is a superb publication. Intelligently written and informative, and accompanied with excellently reproduced stills and photographs with well designed layouts. 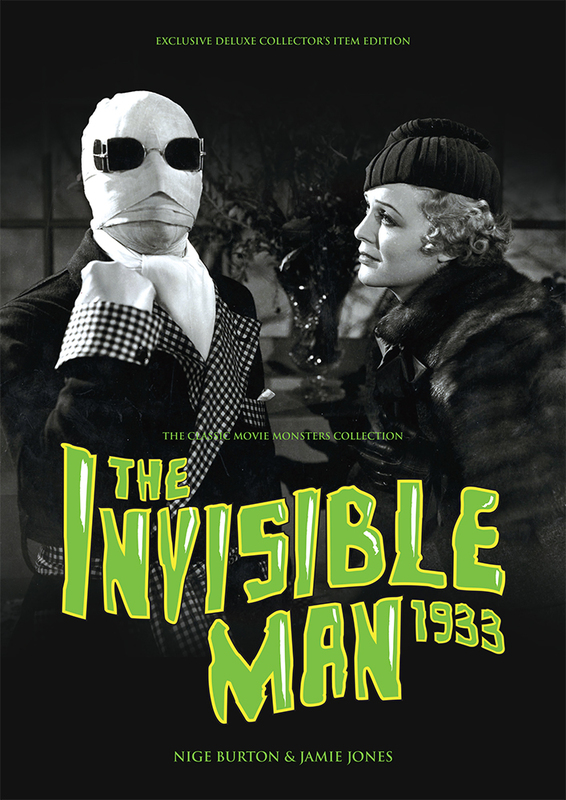 It reminds me in some ways of a great partwork called The Movie that I used to collect in the 1980s, which had a similar attitude to its subject matter. So far there have been five issues published, with No.6 coming next month. 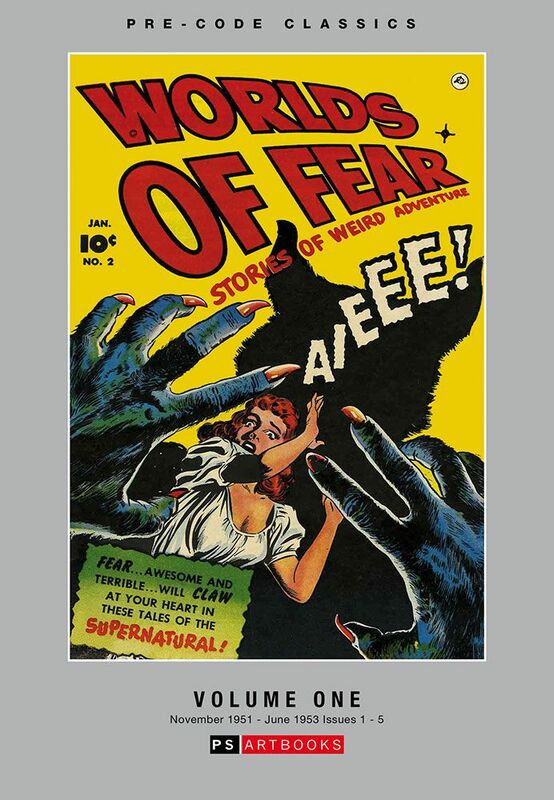 (There's the fearsome cover at the top of this post.) But that's not all. 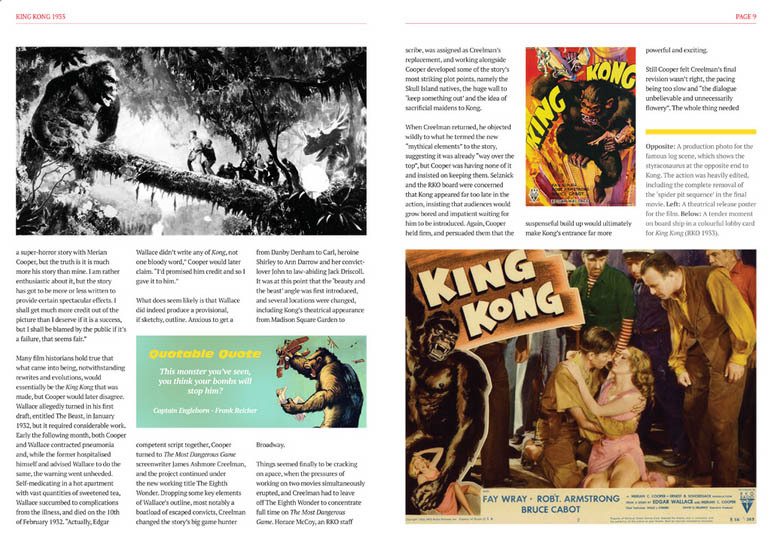 The same publisher also produces 'Movie Guides' that focus on one movie, providing all the key information in one magazine. 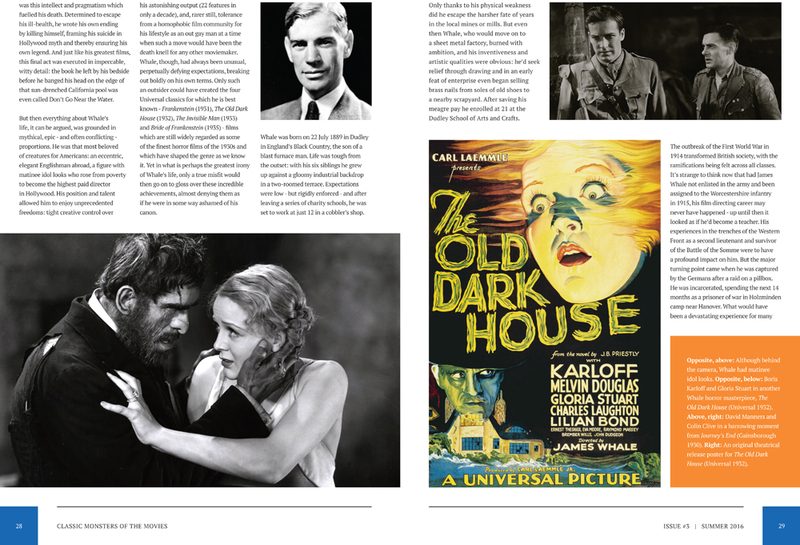 Guides for the early Frankenstein films, Dracula, King Kong, The Invisible Man, Phantom of the Opera... and more! I really can't recommend these publications highly enough. The cover prices might appear to be a tad steeper than you're used to paying for, say, SFX or Sci-Fi Now, but bear in mind that Classic Monsters of the Movies and its Movie Guides are printed in smaller quantities and are not from mainstream publishers. Nevertheless, the quality is just as high, and higher in some respects, than magazines you'll find in the High Street. New term at Hygiene High! The Phoenix celebrates five years!